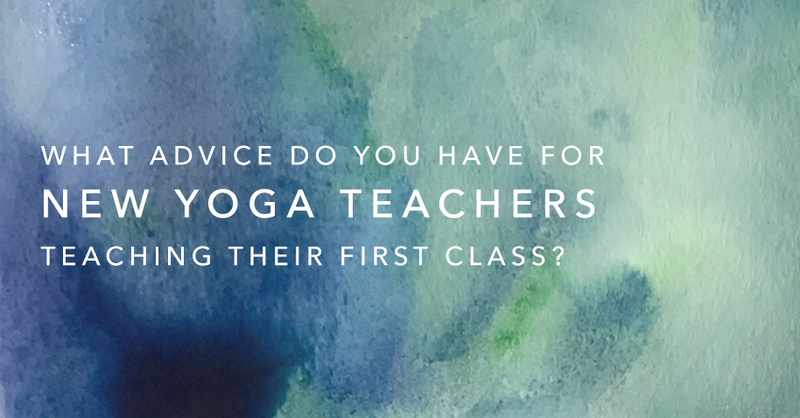 What advice do you have for new yoga teachers teaching their first class? Alex van Frank: My best advice is to ask yourself why you are teaching. Answering that question and reminding yourself of the ‘why’ as you teach will ultimately lead you on YOUR path. The first steps are always the most exciting and full of infinite potential… Oh, and always breath –it doesn’t look good if you pass out from lack of breathing! Amy Ippoliti: Congratulations on this milestone! Before you teach your first ever class, make sure you’ve given yourself plenty of time to plan your class with a theme you love and poses you are excited about. Practice the sequence one or two times through to make sure it works well for your body (if it works for you, chances are it will work for others). Arrive at the studio early and immediately take the focus off yourself (your nerves, your plan, your clothes, etc.) and place your focus onto the people coming! 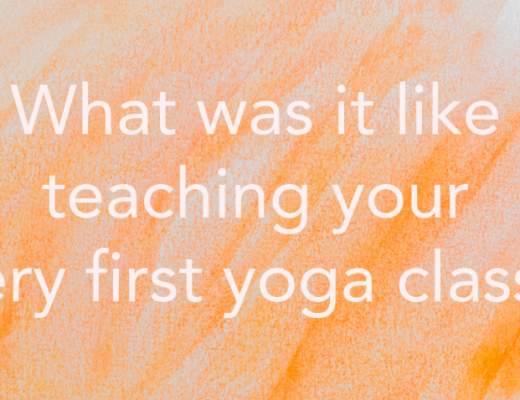 Set up the room so it’s inviting – light candles, chant some mantras in all the corners of the room, or put out a fresh flower or bouquet – it’s a celebration after all, your first class with great people! When the students arrive, ask questions and get to know them. 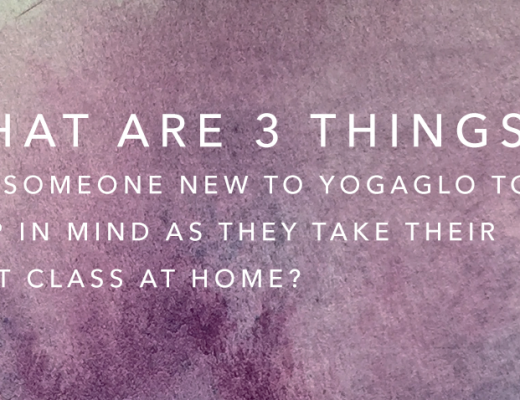 It will break the ice and help you get out of your own bubble of anxiousness and right into the great gift of teaching yoga: helping and serving others. Darren Rhodes: Keep it simple. Focus on instructions that get students into and out of the basic shapes of each pose. Memorize your sequence ahead of time. Practic that sequence many times prior to class so you can target the key alignment for each pose. As for alignment, for each pose in your sequence write down what’s most at risk so you know which safety cues to give for each pose. Elena Brower😕 Pay attention to detail, connect with your students best your can, and stay present for yourself. Let the plan help you, but not hinder your ability to intuit what your students might need. Felicia Tomasko: Know if you are nervous, that’s okay, just go with it. Enjoy the process. Remember that teaching is different from your own practice, so treat it differently. One of the things that my teacher trainer emphasized was that when you demo, do less, because students will mimic you and often push themselves to try to copy you. So do less. Giselle Mari:Keep it simple and enjoy the process. When you’re having fun and not stressed out about how it will turn out and (cliche alert) in the “moment” – your offering will be a solid one. Kia Miller: Breathe with your students. Keep it simple. Speak from your heart to theirs. Smile and engage with everyone. Steven Espinosa: Try to remember it’s not about you. It’s about the yoga. Too many times new teachers try to impress the class with their technical knowledge and ability. And as a result it becomes all about them. To me, our main job as teachers is to provide a general overall structure, instruction and hopefully some inspiration. So just keep it simple and let the yoga lead the way! Tara Judelle: Find what excites you about yoga and offer that. Your authentic enthusiasm about what you are sharing will convey more than anything the undercurrents of yoga. People are there to move, and to do so in community. Let yourself have fun, and be yourself. Know that any offering, done with interest and curiosity will automatically convey the teachings. The rest, any techniques or skills can be developed over your lifetime. Taylor Harkness: Just have fun with it. No one is going to remember your flow, your playlist, your cues. They’re going to remember the way you made them feel. So ask yourself, “how do I want them to feel?” and then do your best to create that space. Throughout your career, you’re going to forget poses so many times, get your left and right screwed up constantly, and knock over so many water bottles with clumsy feet that you’ll lose count. The point is the attention, effort, and love you put into the class, not how it looks. Tias Little: The key is not to be hard on yourself. 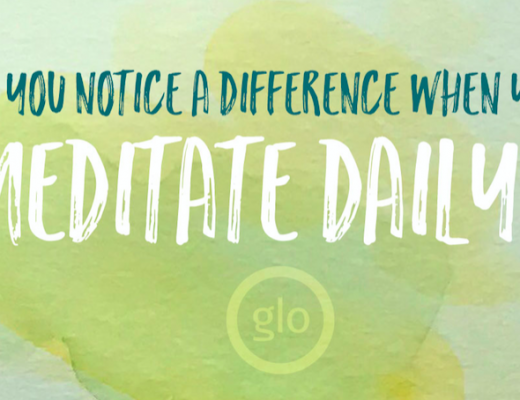 Oftentimes we have expectations as yoga teachers that we should know it all, or be able to do all these amazing poses, or simply be enlightened. There are a lot of projections and a lot of smoke and mirror that we place upon ourselves in the role of the teacher. My advice is to have confidence in what you know and teach from there. Tiffany Cruikshank: Remember that your students are there to learn from you. We all get nervous but you have to keep remembering your purpose, whatever that is- to inspire people, to connect, to help alleviate their suffering, to educate or to have fun.